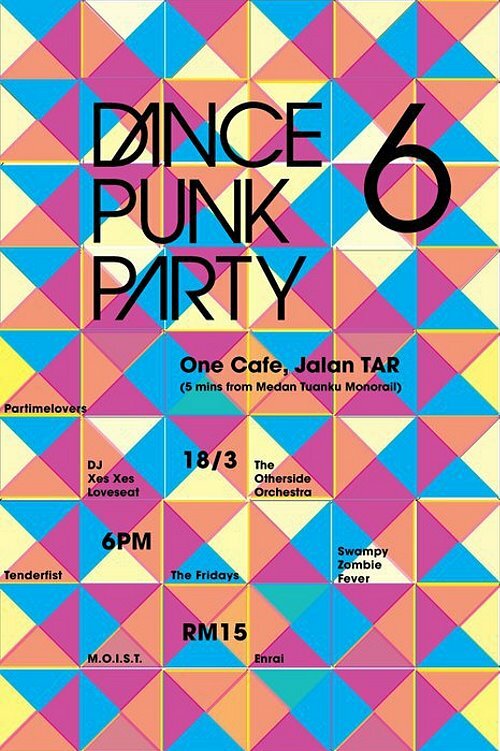 The Dance Punk Party is back with its 6th instalment this week. New additions to the line-up this time will be Tenderfist, The Otherside Orchestra and Swampy Zombie Fever alongside DPP staples like Partimelovers, The Fridays, Enrai and M.O.I.S.T. There will also be a DJ set from Xes Xes Loveseat (of the Lost Tapes gang). Should be a fine Friday night out for all of you looking to shake some booty. Show starts at 6pm on Friday, 18th March 2011 at One Cafe, Jalan Tuanku Abdul Rahman, Chow Kit (near Tune Hotel). Admission is RM15. Check out the event’s Facebook page for more info.